Hailing from the southern reaches of the Burgundy wine region in France, one can often expect low-acid ripe Chardonnay’s, plenty of oak, and doses of sulfur to make the eyes and nose sting. This wine seemed to have escaped these cliché’s nicely. 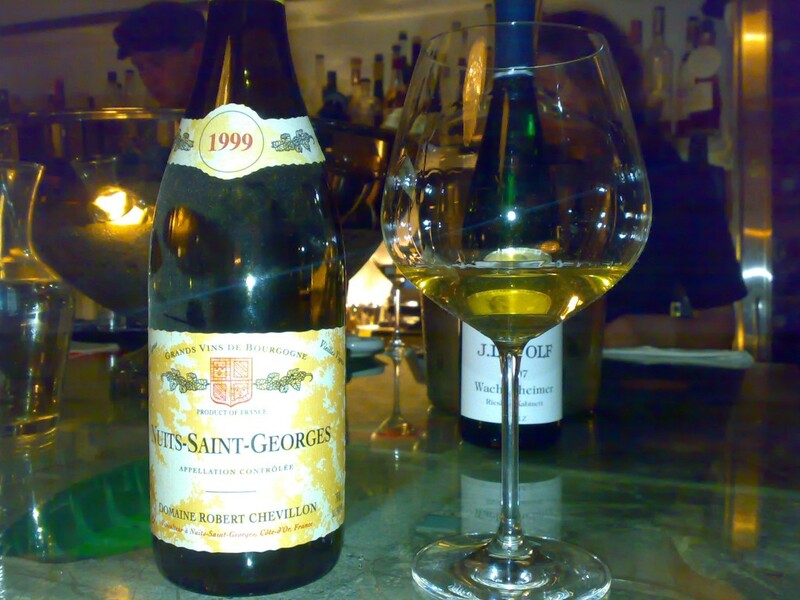 For one, the wine was not lacking acidity, and at 10 years of age, this is not an everyday feat. Secondly, although there was some oak use, it was used judicially and had integrated quite nicely in this wine. Thirdly, no stinging of the eyes and nose, a great indication that sulfur was used in very low doses. I don’t know much about this producer, nor could I find much out utilizing my usual information-gathering tactics. Philippe Valette is well-known for working naturally, and that’s about all I could gather. You could read a bit more here. Palate: Dry with refreshing acidity. Balanced and long. Interesting at first sips, the wine quickly started to head in the wrong direction. It seemed to start closing and masking the fruit. Even showing some signs of oxidation on the palate. Have we waited too long to drink this wine? Did we open it too soon? Burgundy is always challenging. It sooned fooled me into thinking that the wine had hit its prime a few years earlier. Is this possible? Slipping so quickly? A magnum! But…as more time passed, the wine started to change. 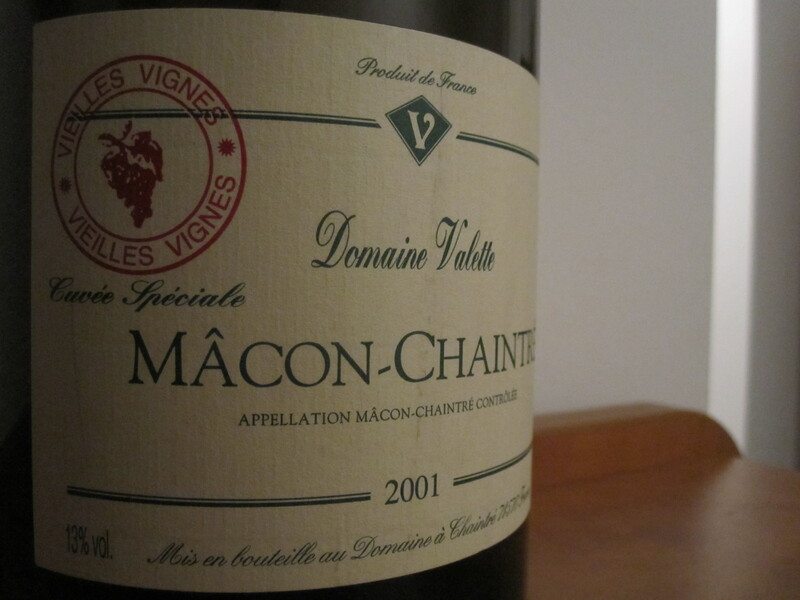 Those funky oxidized aromas that this wine hid behind, began to lift. Fruit began to shine and the Chardonnay character really started to come thru. The wine became more focused, the acid more lively. Good thing this was a magnum….it gave us enough wine to allow these changes to come around before the wine was completely drunk up. One thing to note is that very often the Chardonnay’s from the Mâcon can be quite oily, fat and rich. The only thing this magnum had in common with those charcteristics was the oiliness. It had great texture, mouth feel, concentration and structure.. what else? It wasn’t a fat wine, nor was it rich, and I am grateful for this actually. Last night I had the great opportunity to taste an unusual wine. A wine that I had personally purchased for the wine list of the wine bar I used to manage. I remember buying 4 bottles of this wine around 3 years ago after discovering how unusual it was. It was a great opportunity that I couldn’t pass up! The Robert Chevillon Domaine farms around 13HA, most of which are in Nuits-Saint-Georges. The vineyards include 8 Premier Crus. Most of his vines are 25-40 years old, and some are almost 80 years old. 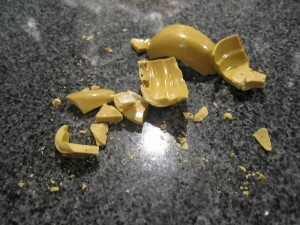 The first two bottles seemed to be corked (unfortunately), but the third seemed just fine. 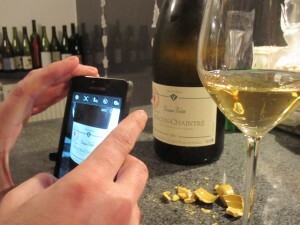 The wine was decanted immediately and consumed at around 14-15 degrees Celsius (57-60 Fahrenheit). This is a perfect temperature to begin consuming most white wine, not at the 8-10 (48-50 Fahrenheit) degrees most people drink their white wine! In fact, the wine only improved as it warmed, as do many white wines and Champagnes. 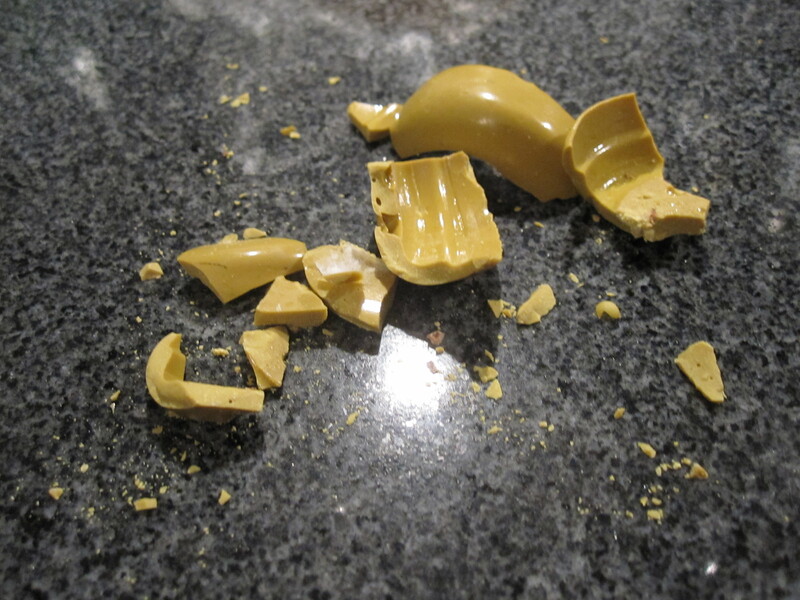 The color was quite a dark golden yellow with maturity evident. The nose initially reminded me of some of the wines I had experienced from the Jura. In other words, immediately evident were aromas of oak and what reminded me of yeast or flor. It was rather difficult at this point to pickup on the fruit. Now I know that there have been issues with the premature oxidation of (white) Burgundies in the mid to late 90’s and perhaps this was another example of a Burgundy with premature oxidation, but that aroma that I can only describe as flor seemed to burn off a bit after some time in the glass so perhaps this is the way the wine was supposed to be. The wine’s aroma was not not very complex initially, but eventually the aromas of flor and oak gave way to red apples, like one might find in a Blanc de Noirs from the Champagne region, and hints of orange peel and citrus. There were also mineral hints laying in the background. That smell of flor never fully subsided, but did soften over time. 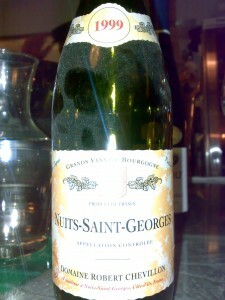 On the palate, the wine was very concentrated and mineral with yellow apples, not red as was present on the nose. Medium weight with very good acidity for a wine of this age. I would rate the acidity at medium plus. 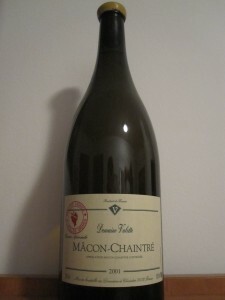 The wine reminded me a bit of a Chardonnay, but with less weight and not as oily or fat. 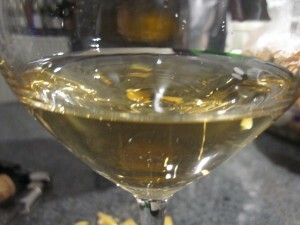 At first the 13% alcohol was quite evident, but began to integrate itself about 30 minutes after the bottle was decanted. The finish was very long at around 30-40 seconds. My overall impression was that this was most likely a good bottle and was displaying the characteristics that it should. The wine was well made and could have even been stored for another 4-7 years in my opinion. To sum up, this was an interesting wine to taste, but not one that will keep me up at night thinking as many red Burgundies do. If you have had the opportunity to taste this wine or a similar wine, it would be interesting to hear your feedback.